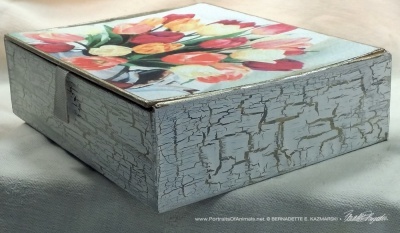 Something to look forward to—months of flowers! 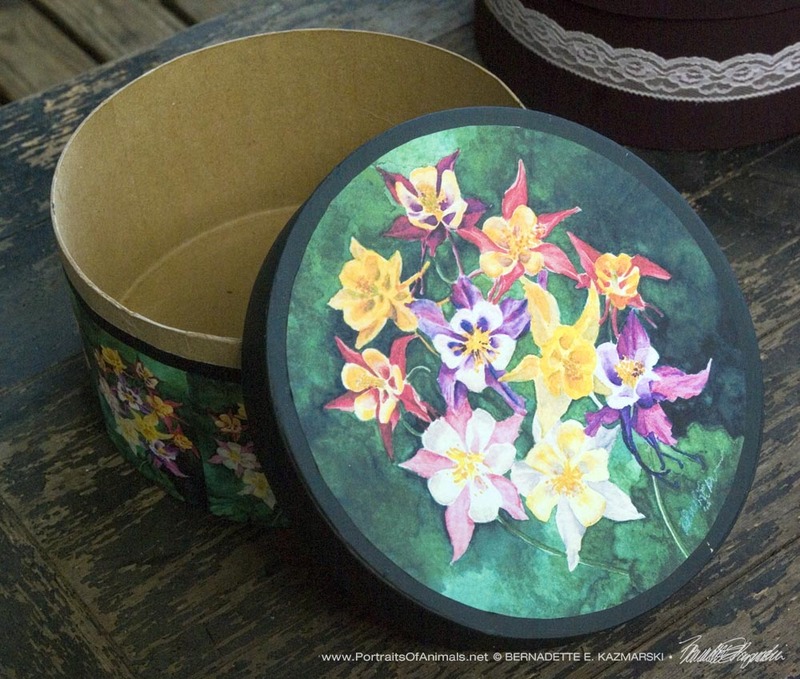 These large and small keepsake boxes are detailed with prints of my artwork and specialty handpainted finishes that coordinate and make the box unique. 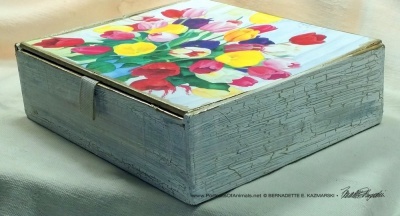 Some are the blank papier-mâché boxes from the craft store, others are made from vintage cigar box keepsakes. 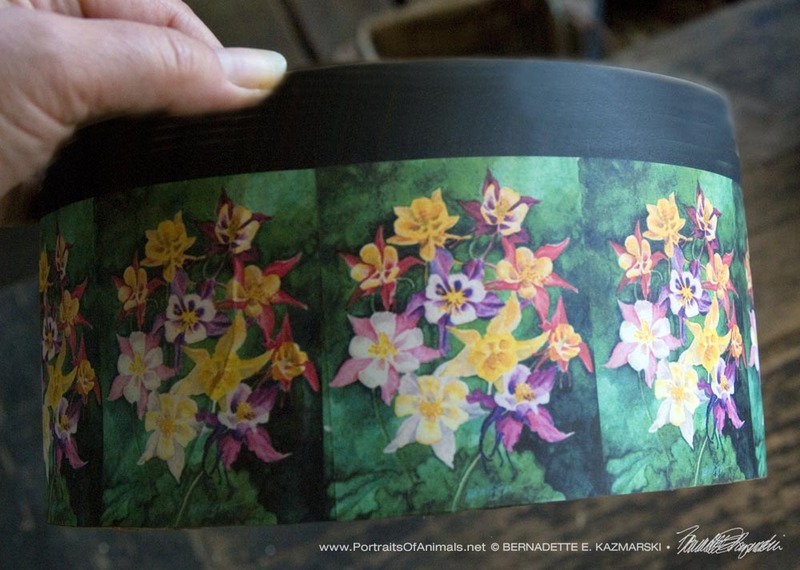 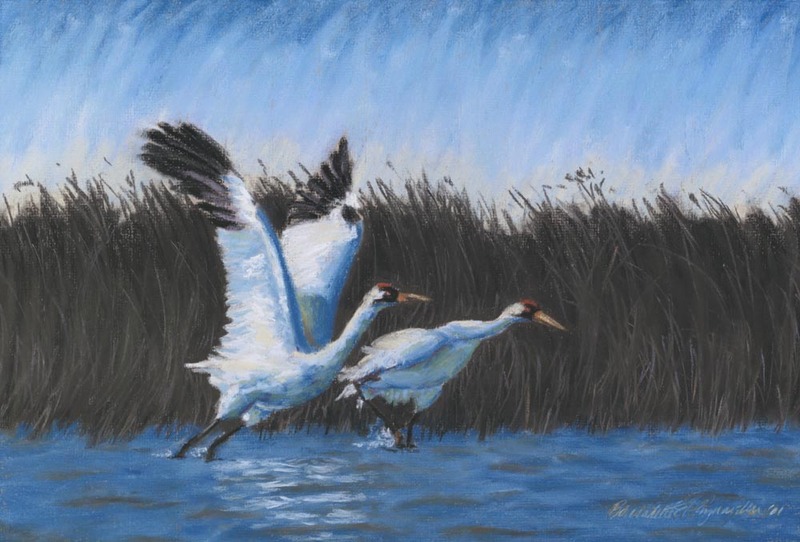 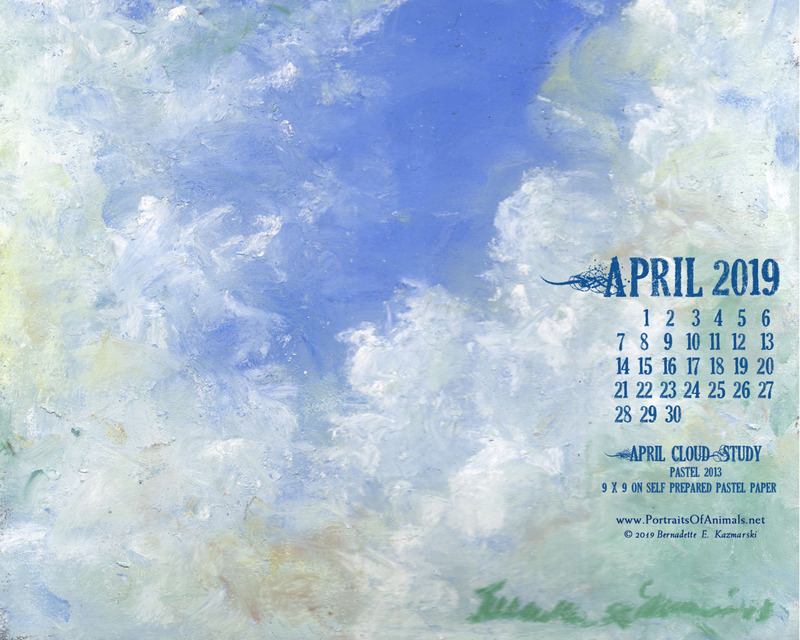 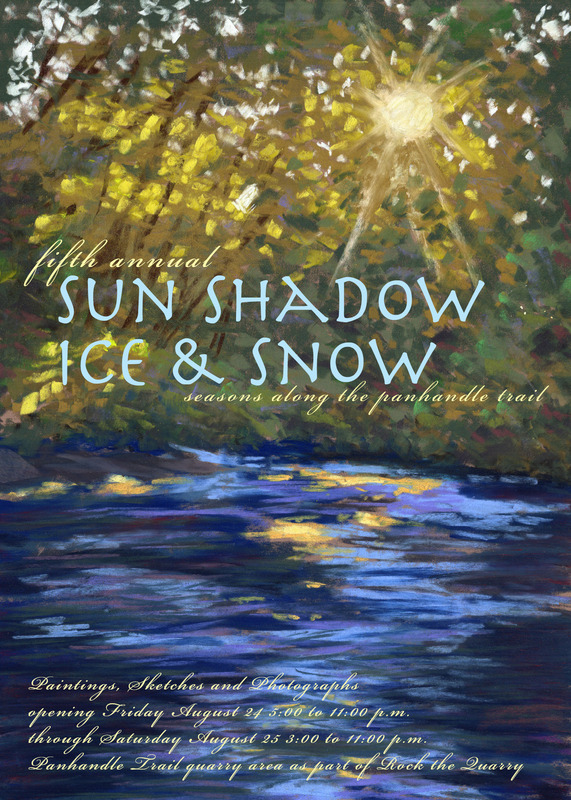 I use soy-based acrylic paints and print my artwork on acid-free matte-finish paper with archival waterproof inks and adhere the print to the box. Box insides are finished or unfinished, as noted. 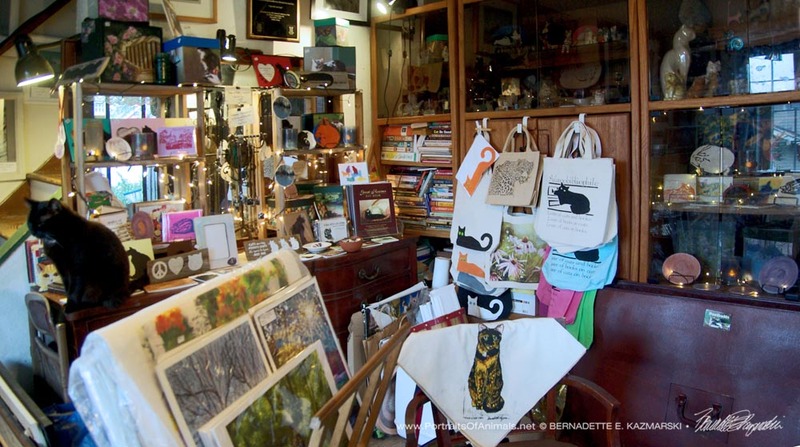 Use for storage for small items, photos or special keepsakes, or use as gift boxes. 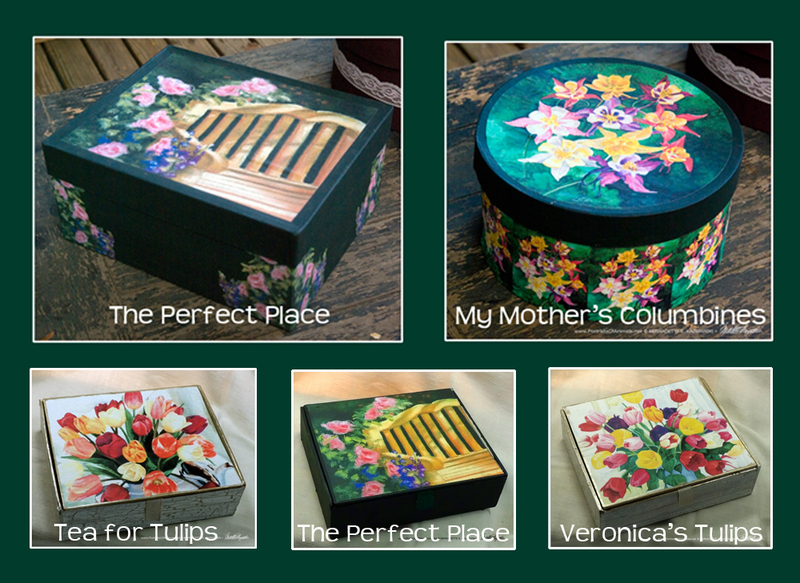 The boxes are may vary slightly in size and shape or have slight imperfections, but each one is an original and I often make a particular design only once. 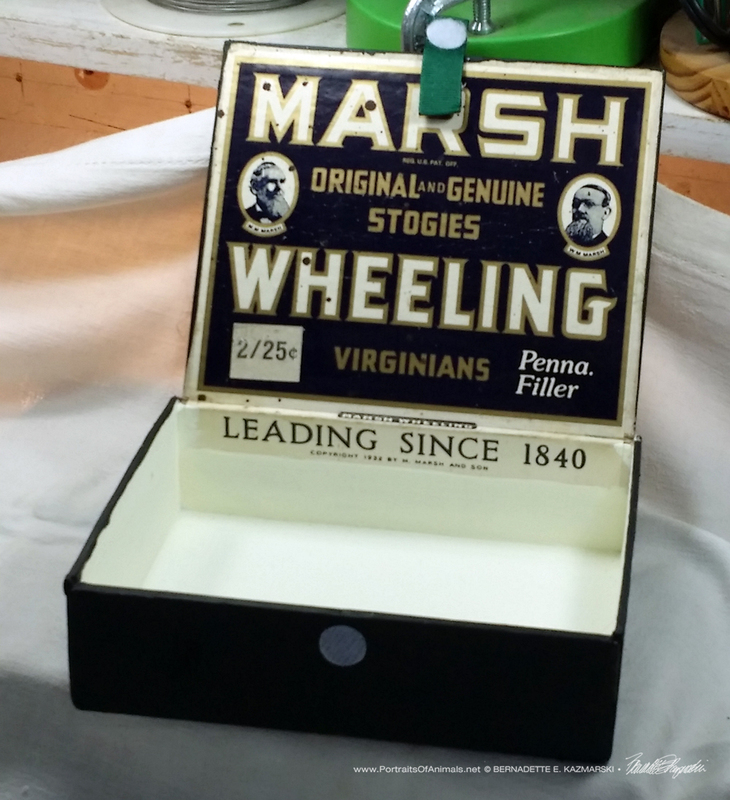 Click the headline or photo to go to the listing, or purchase the box right here. 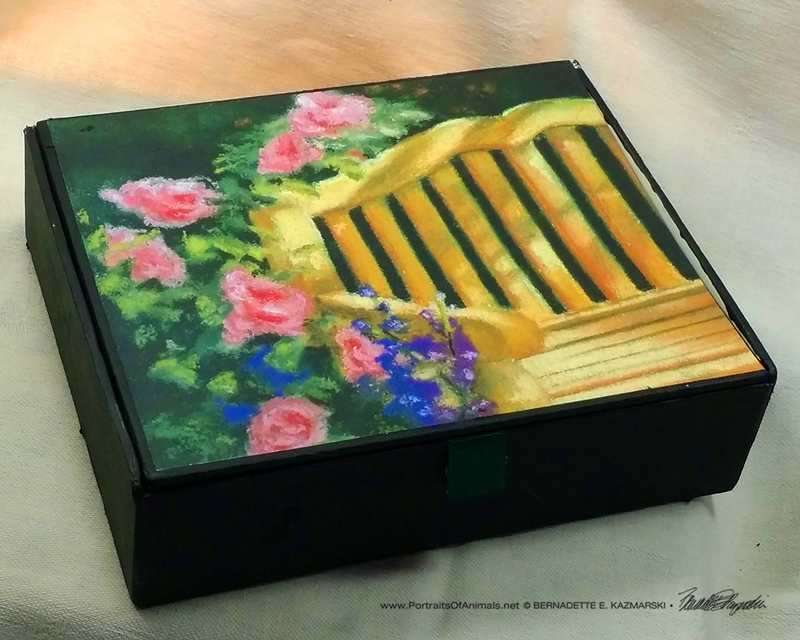 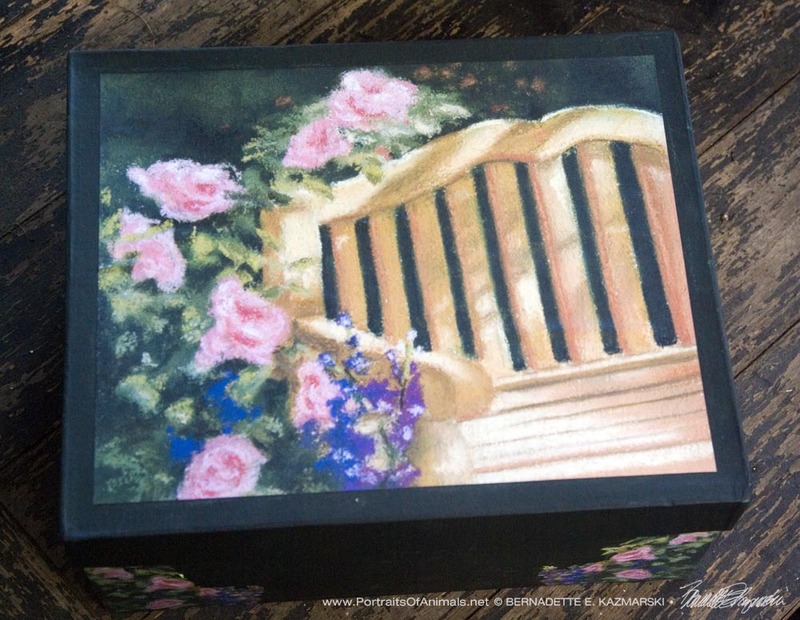 This box has my painting “The Perfect Place” on the top, painted with deep forest green and sides embellished with a cutout of the flowers from the painting. 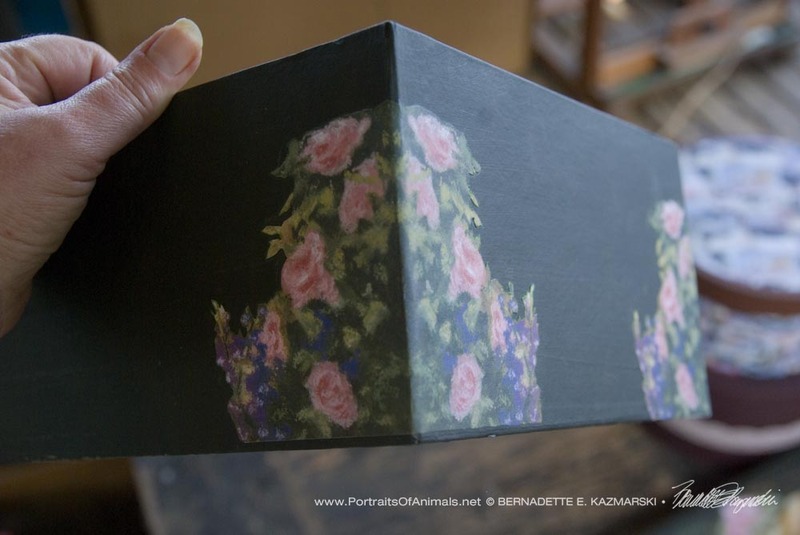 Box measures 11″ x 9″ x 5″ high. 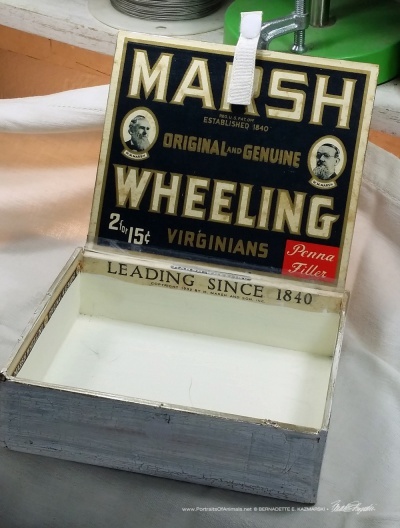 Price includes shipping. 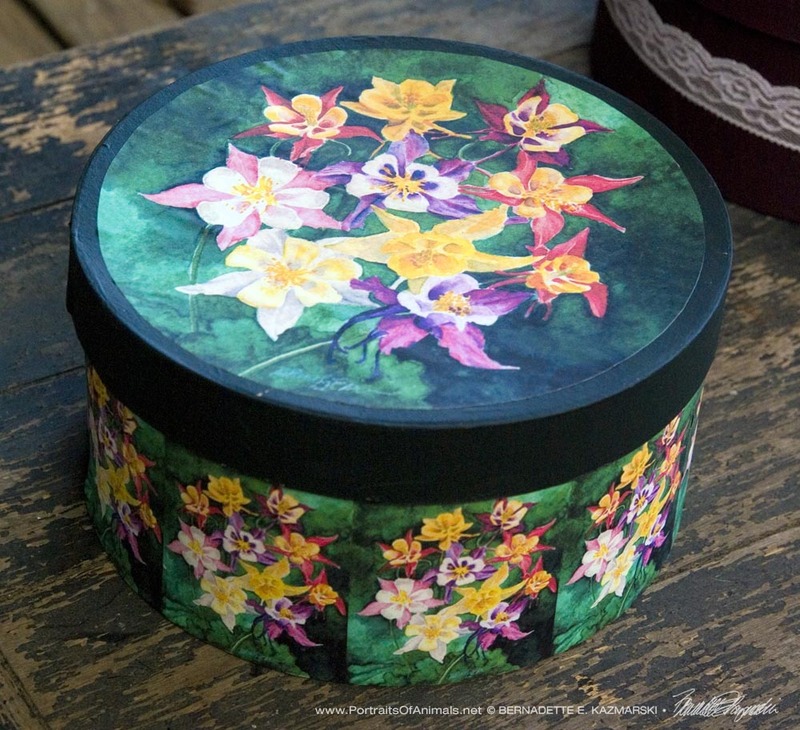 The Perfect Place keepsake, design. This vintage cardboard cigar box is finished with deep green enamel marbling with an image of my painting “The Perfect Place”. 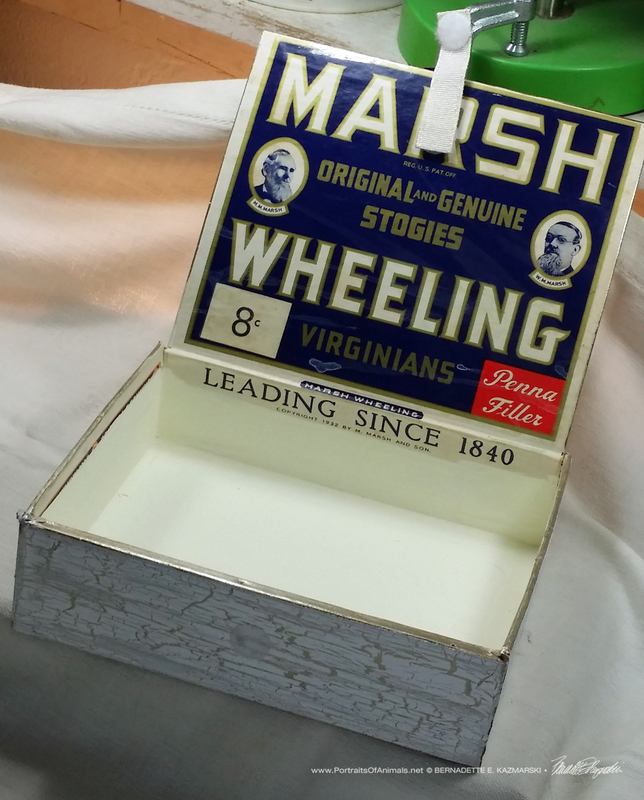 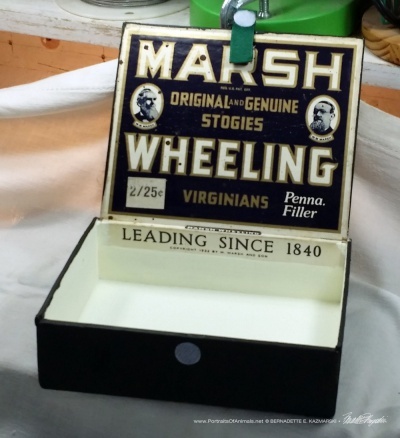 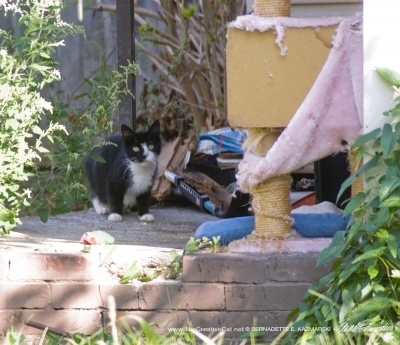 Box measures approximately 8″ x 5.5″ x 2″ high. 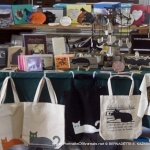 Price includes shipping. 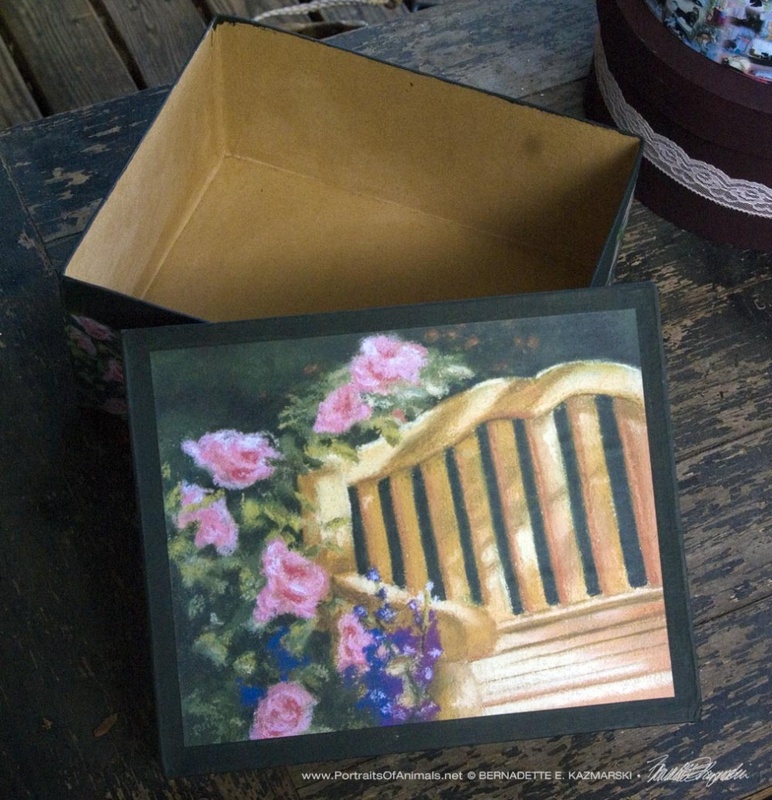 The Perfect Place keepsake, finish. 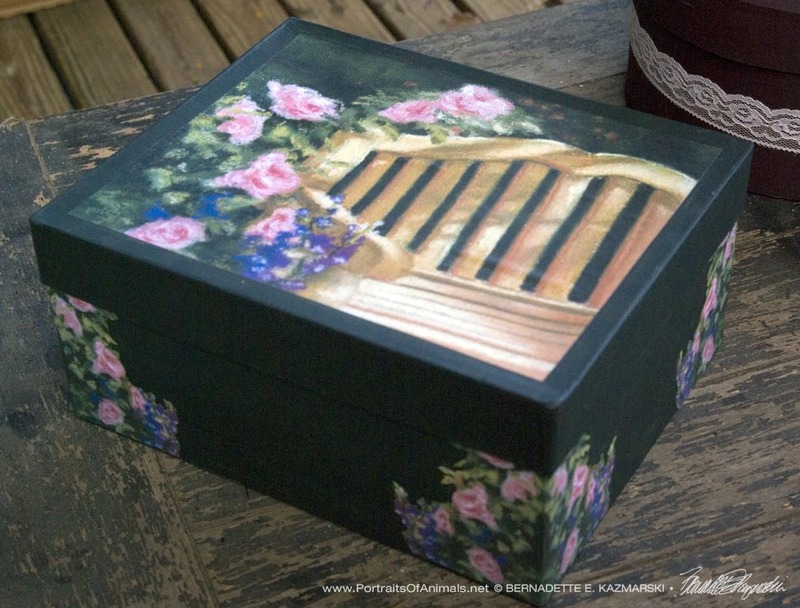 The Perfect Place keepsake, inside. Veronica’s Tulips Vintage Cardboard Cigar Box Keepsake, design. 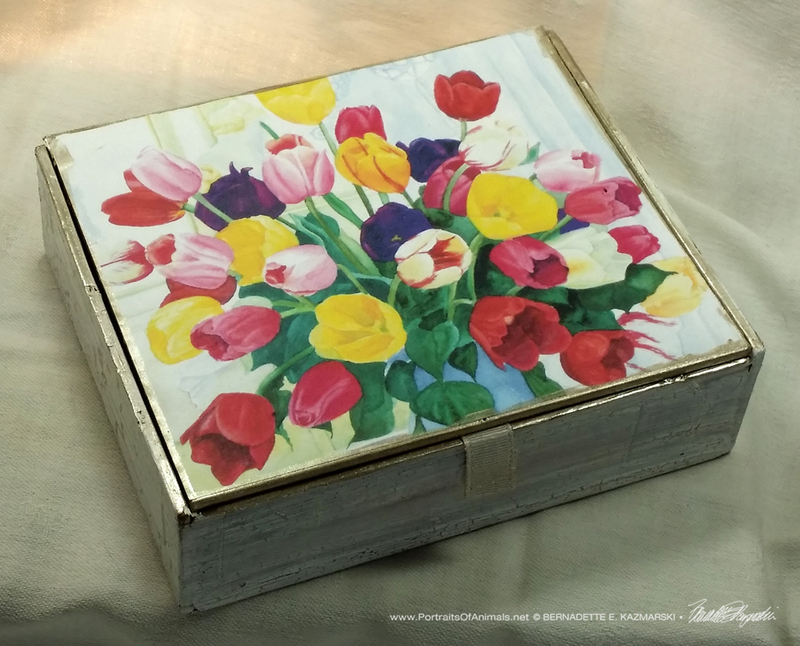 This vintage cardboard cigar box is finished with a white and antique sliver crackle glaze and antique silver trim with an image of my painting “Veronica’s Tulips”. 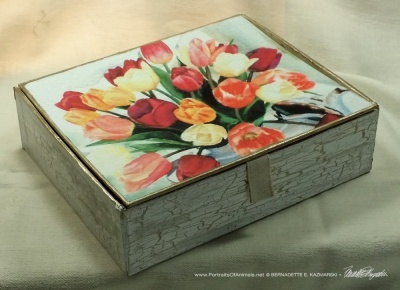 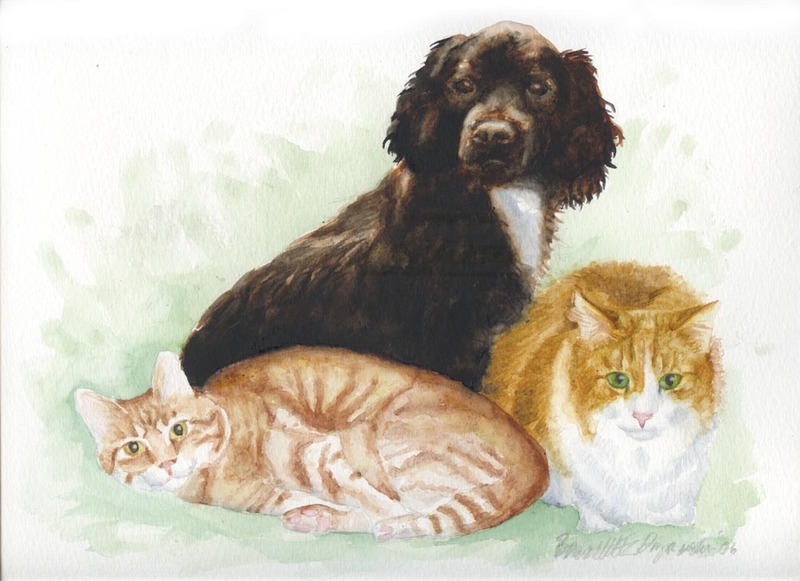 Box measures approximately 7.25″ x 6″ x 2″ high. Price includes shipping. 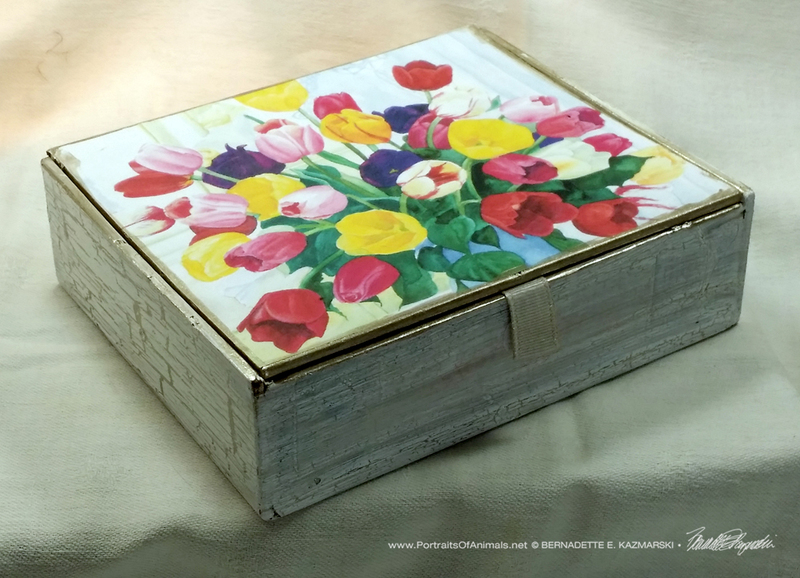 Veronica’s Tulips Vintage Cardboard Cigar Box Keepsake, inside. 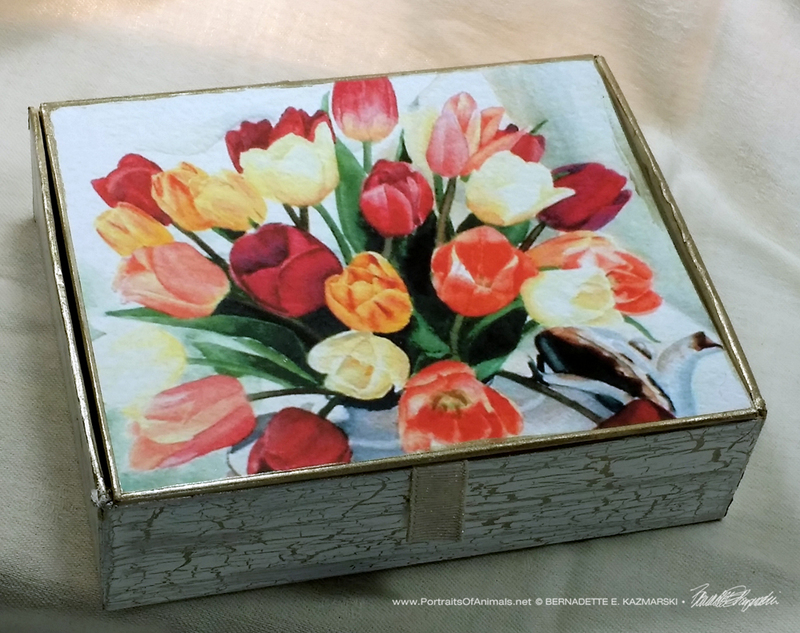 Veronica’s Tulips Vintage Cardboard Cigar Box Keepsake, finish. 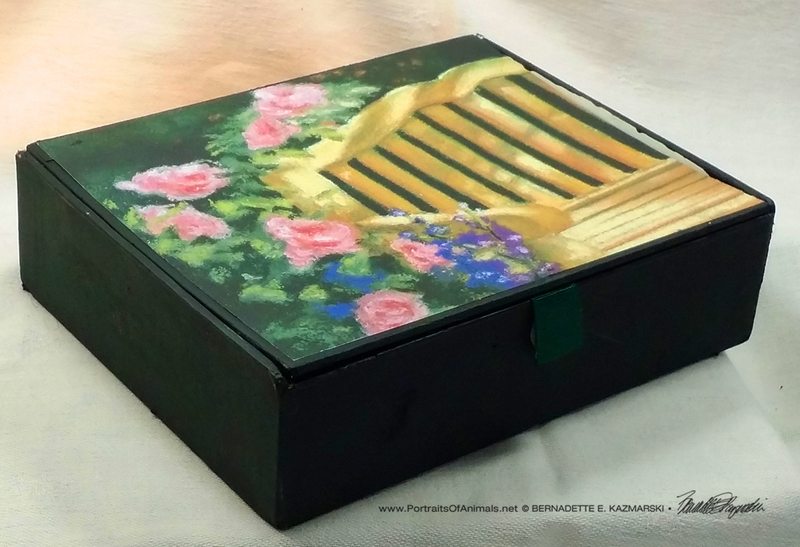 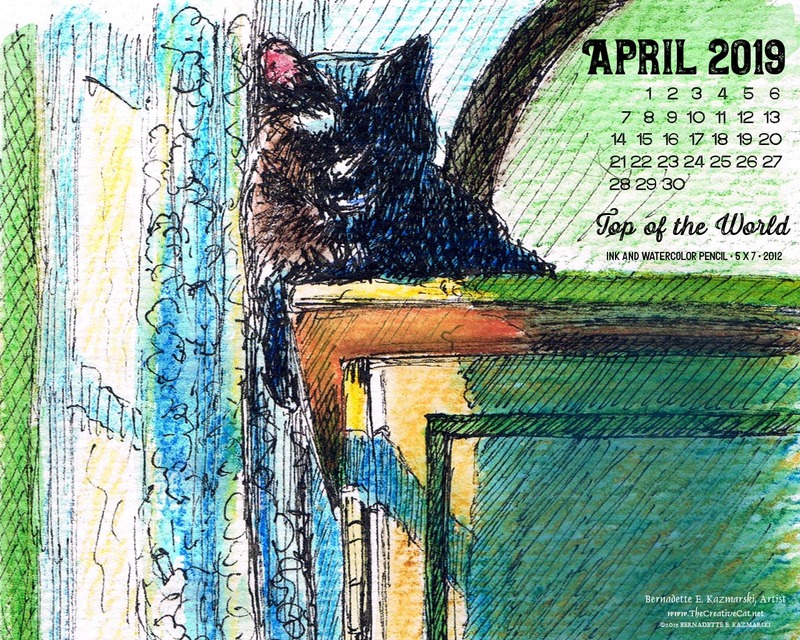 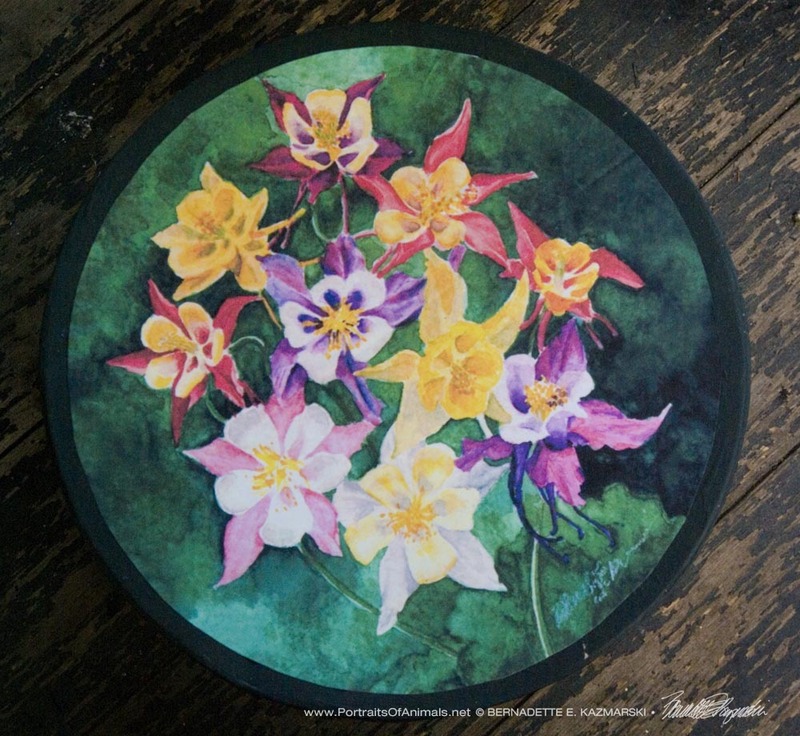 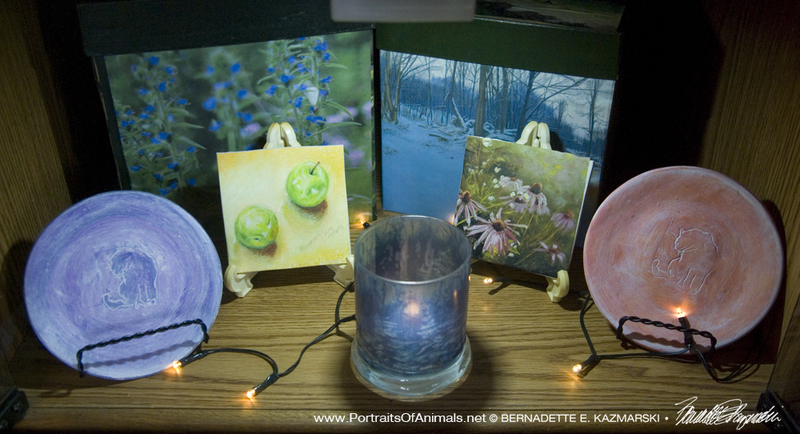 This entry was posted in flowers, handmade gift items, keepsake boxes and tagged florals, flowers, gardens, gift items, keepsake boxes, merchandise, still lifes on March 11, 2018 by Bernadette.